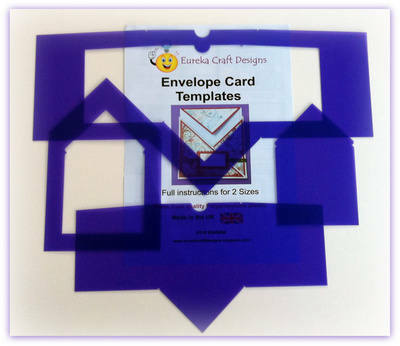 A Fold made easy using this template. An ideal template to use to make wedding stationery, invitations and special birthday or anniversary cards. 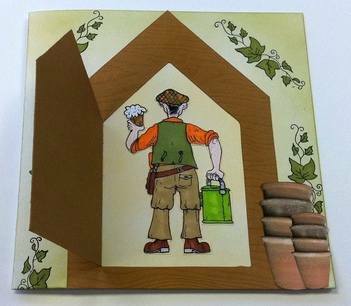 Can make other designs by using this template enabling you to bring your imagination to life. The above shed has been made using the larger part of the template by drawing around the outside and then on the inside. Only drawing around four sides instead of five to enable to make the hinge for the door. This shape can interpret many doorways eg, churches, secret gardens, castles and so on. You just have to let your imagination lead you the way. 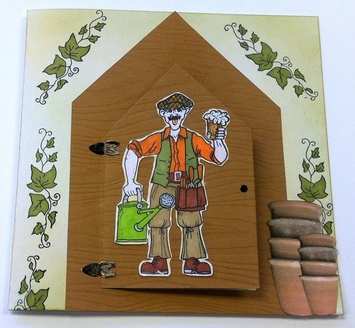 The above card was made by Sarah Louise. She used the template to make a special birthday card and I am sure you will agree is beautiful. 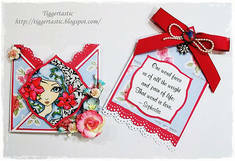 Sarah has her own blog called Tiggertastic with many other examples of her work using our tmplates.